Many times those searching for hiking trails are also looking for good dog hiking trails. The health benefits of hiking are just as important to your dog as they are for yourself! it may even be more enjoyable for your dog who gets a loaded sensory high along with the exercise and human bonding time! So many smells in the great outdoors! Hiking here on the south shore is usually easy. Most times hiking on the south shore does not present any danger, but there are many reminders and possibly overlooked challenges to think about before heading out on the trails with man's or woman's best friend. First off, consider if the area you have selected even allows dogs. During my hikes on the south shore hiking trails, I have yet to find any trails that do not allow dogs. Though there may be trails that show themselves more suited towards dogs or are more dog friendly, as of yet I have not found any areas that object to dogs altogether. The only outdoor walking place in the area I have found that objects to dogs are the beaches. 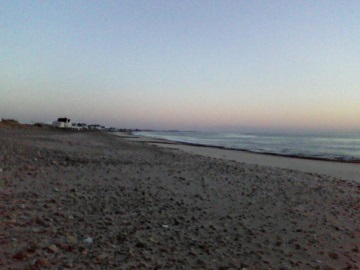 Usually only during the summer season though, yet Rexhame Beach in Marshfield is a very dog friendly place! Most areas on the south shore do require that a dog be leashed. From my reading on this subject many times even if an area allows dogs to go unleashed, leashing is the safer choice. 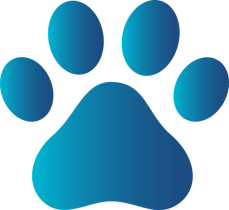 In other areas of the country an unleashed dog can cause a problem by disturbing a larger or more dangerous animal such as a mountain lion or bear. These do not exist here on the south shore, but the two legged, two wheeled mountain biker does! Other animals to be wary of: rattlesnakes, rare in Massachusetts, but they do exist! Porcupines, skunks and another rare possibility are fisher cats. An encounter with any of these animals could certainly ruin the day! 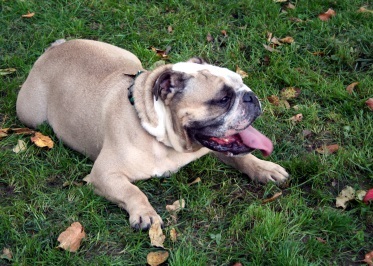 Till you know the specifics of an area such as how it is used and how often, keeping your dog leashed is best. The size and breed of your dog will determine what type of dog hiking trails to select and hike with your companion. If you have a medium or larger dog with boundless energy a longer hike with climbing is great. Short legged or small dogs, not so much. Build up your dogs endurance to hiking on trails especially if your main form of recreation has been more sedentary. Another thought is making sure your dog is up to date with shots. Rabies in particular before you head off into a wooded area. If your dog is unruly, over protective or doesn't get along well with other dogs, wider trailed or less used areas may be more appropriate. If you are considering to let your dog off leash, will he return at your command? Water has a two fold reason for those hiking with their dogs. Many look for areas that contain bodies of water that their dog can swim in or rivers and streams for their dog to tromp through. Drinking water though is a big consideration. If the area chosen to hike has fresh water, do you know the quality of that water? I have seen many let their dog drink from flowing streams, yet many of the water sources on the south shore can contain contaminants that not only are suspect for us but our pets as well! Bringing your own water supply and collapsible dog bowl, as well as teaching your dog to only drink from that bowl is your best bet against problems later. There are many places on the south shore where the water found will be salt water. Most likely during dog play time they will ingest some of this water. Too much will have it's consequences, so limiting how much time they play in salt water and following this sort of play time by drinking lots of fresh water afterwards is a good routine. After any swimming activity, it would be a good idea to give a quick bath or hosing. Remove any residual salt or possible chemicals from rivers or ponds. Wipe ears dry to prevent any sort of infections. While out on dog hiking trails it is a likely occurrence that you will be dealing with waste. There will be some dog friendly places that will provide bags for this. Most times you will be dealing with burying the waste. General trail etiquette states that any waste, pet or human should be buried 200 feet from the trail or camp. Most certainly the same distance from any body of water. The hole should be at least 6 inches deep filled in and covered over with leaves or other forest floor litter for a leave no trace appearance. Lyme disease is a big factor here on the south shore. It affects dogs just as intensely as it does humans. A thorough check for ticks after the hike is a must along with finding other items that may have become tangled in your pet's coat. Another good reason for a quick after hike bath is that your pet's coat may have brushed up against irritating plants. Plants that irritate their skin as well as ours. The oils from poison ivy can deposit on our pets coat and linger to affect us later. A bath is a good prevention! Pretty much all the trails on the south shore are good dog hiking trails, but some have features that are better suited towards dogs. On this page I will list hiking trails that I believe are great for dogs and why I believe so. Please note: this list will be on going and constantly growing! Check back regularly for new updates! Great Esker Park: This is one of the better places for dogs! Running along the Back River in Weymouth, there are many small beaches and trails along the river for a dog to use to swim at. 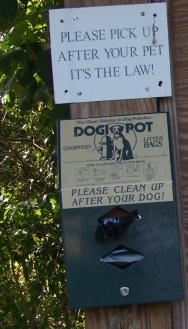 There are dog waste bags located at the park entrance on Elva Rd. If your dog is one that needs room to run and climb this park sits on an esker and has several hilly areas for an over energetic dog. Ames Nowell State Park: If you have never visited this state park, you will soon learn it is a favorite among dog owners. Several areas lend itself as a beach for your dog. 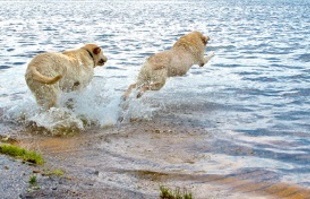 Those energetic dogs that need lots of exercise can be walked on the Around Cleveland Pond Trail where you will find more dog swimming areas and climbing areas along the utility lines. Burrage Wildlife Management Area: Here in Hanson this area has numerous ponds and over 2,000 acres of sandy roads and narrow trails that both you and your dog can explore! Rexhame Beach: This is listed above, but listing it here makes it more visible. 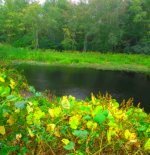 Duxbury Bogs: This area is another that seems to be a favorite for dog owners. Wide open space with soft sand trails. Dog bags are at the East St. entrance. Melzar Hatch Reservation: Early in the morning if you hike without a dog you are a minority here! their station to show they provide these. or varied terrain perfect for a good doggie work out! the area is a good dog swimming area.